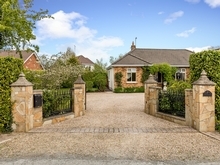 DNG TormeyLee are delighted to bring 74 Old County Road to the market. This property is an ideal investor property. 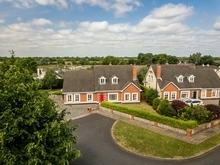 It is currently leased to a Dublin Language School, showing a 10% yield. This lease can be renewed for a further five years on completion of a sale and a 4% annual increase is negotiable. Property is in turn key condition and all furniture etc. may be negotiated to be included in the sale. This is a five/six bedroom mid - terraced property with an attic conversion. The property consists of a main living room, kitchen/dining room, bedroom one with shower room on the ground floor. ON the first floor there are a further four bedrooms, two of which have ensuite bathrooms and main bathroom. The attic space has a bedroom with en-suite and office storage space . The property has been tastefully upgraded to provide bright, light filled spacious accommodation. There is a great 10 m long enclosed garden to the rear with a decked area. This property extends to 122 sqm with a 19sqm utility/storage space to the rear. 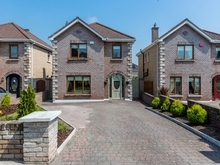 It benefits from a terrific location with easy access to the city centre. It will suit owner occupiers and investors. Coming to the market in great condition throughout the property boasts an array of quality features such as cream fitted kitchen with five ring gas cooker, a number of en-suite bedrooms, spacious front living room with open fireplace, large attic conversion, off street parking for up to four cars and an enclosed rear garden with a decked area and a large plumbed shed which doubles as a utility room. There is also a garden shed. 74 Old County Road is ideally located. The convenience of this location is next to none as it is within easy reach of the City Centre and has local amenities such as supermarkets, coffee shops, bus routes and a choice of schools all within close proximity. The Luas red line is also within walking distance. There a number of sporting facilities in the area such as GAA, Rugby, Soccer, Hickey & Tennis to name a few. Viewing this property is highly recommended to fully appreciate what is on offer. Property consists of 5 bedrooms, living room, kitchen/dining room, utility room(outside), three en-suite bathrooms, guest WC and main bathroom.